Aikatsu! – 146 | Mezashite! I don’t have too much to say. 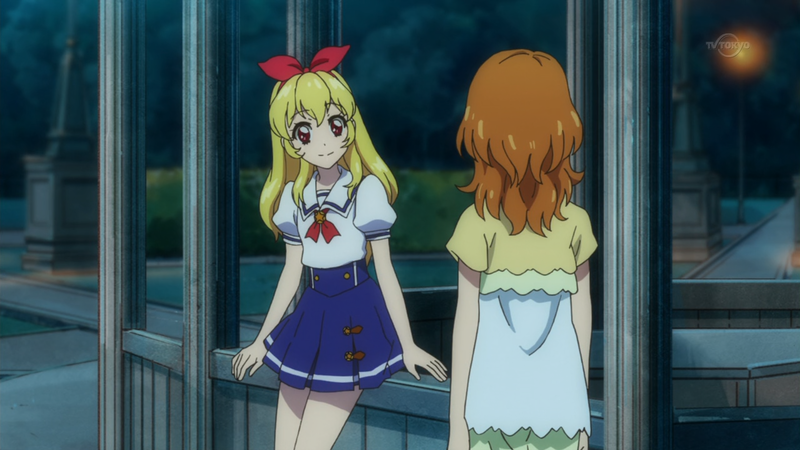 Just a very solid, very Aikatsu episode. Ichigo also has some words of wisdom to share. And yeah, we’ll do the next movie or whatever. thanks, Akatsukin. Glad to hear you’re doing the next movie. LOL, I guess if Akari is Shiny Luminous than I suppose Hinaki is White and Sumire is Black, at least going by personality. I think you mean the opposite, since Honoka = Sumire is White and Nagisa ~ Hinaki is Black. You’re right, don’t know what I was thinking when I typed that. Was expecting Otome to at least show up, if not get into the 8. Still hyped that our beloved ichigo is back. I wish it was Sakura and Hinaki. I’m sad we have no pop idols in this round. I was a little surprised that Sumire and Sakura made the cut, not that I’m displeased by the choices seeing as they’re both great, but I didn’t see it coming. I expected to see Otome back and at least 1 DreAca so we don’t completely forget they exist. I was so happy when Sakura made it, I think I made the most unhuman noise ever watching the Raw episode. Sumire wasn’t so much of a Surprise due Dandiva I knew she’d make the cut. Did anyone else notice that there didn’t appear to be a single DreAca girl in the venue for the announcement? Someone forgot to tell them? They chose not to participate? They didn’t do anything exciting over the past year to earn votes? Their bus broke down? I watched an earlier Akari-chan episode yesterday, and back then Akari was almost a head shorter than Ichigo. They’re pretty much the same height now. 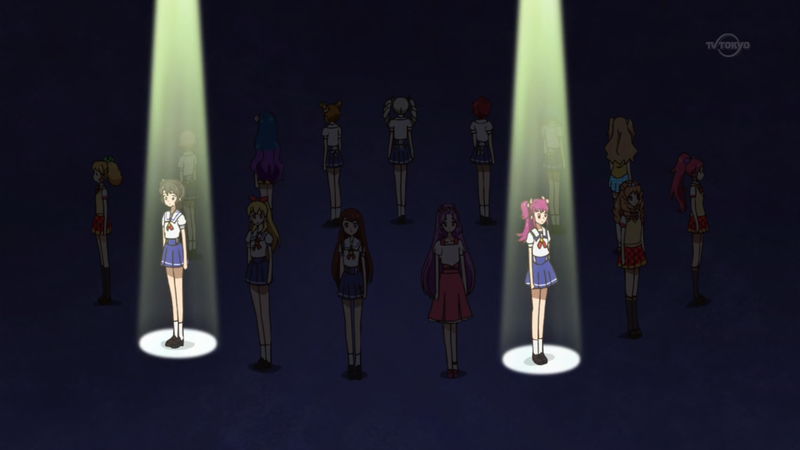 Guess that’s what happens to idols when you feed them…. any news on the next season ? Episodes 140-145 were so boring. Glad to see that Ichigo is back.